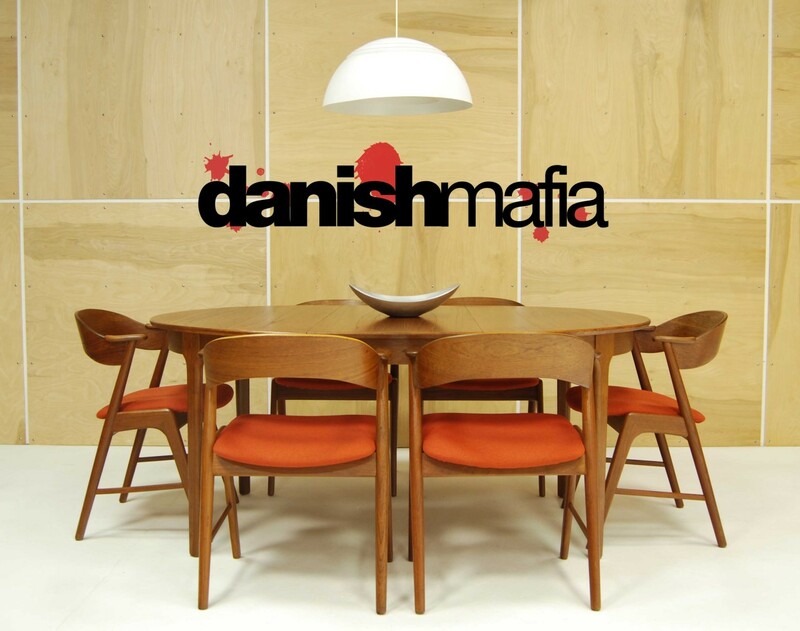 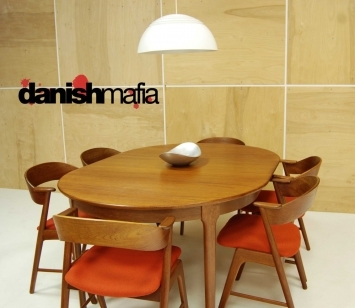 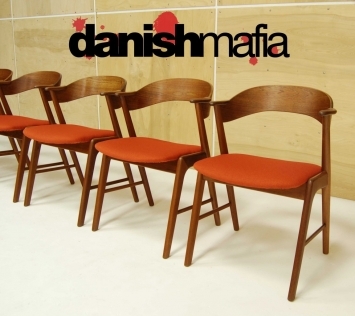 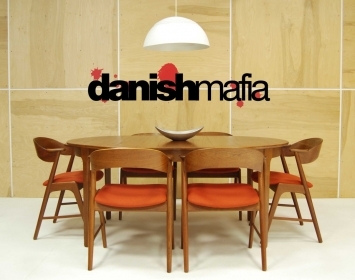 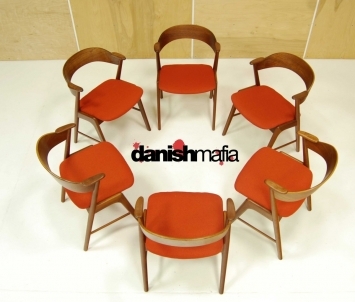 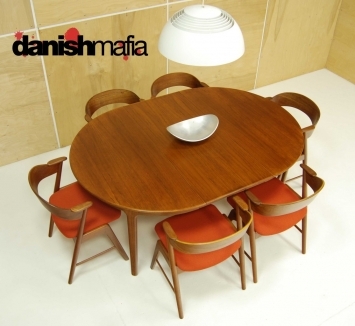 Our Pleasure to offer this stunning set of 6 Mid Century Danish Modern Teak Dining chairs. 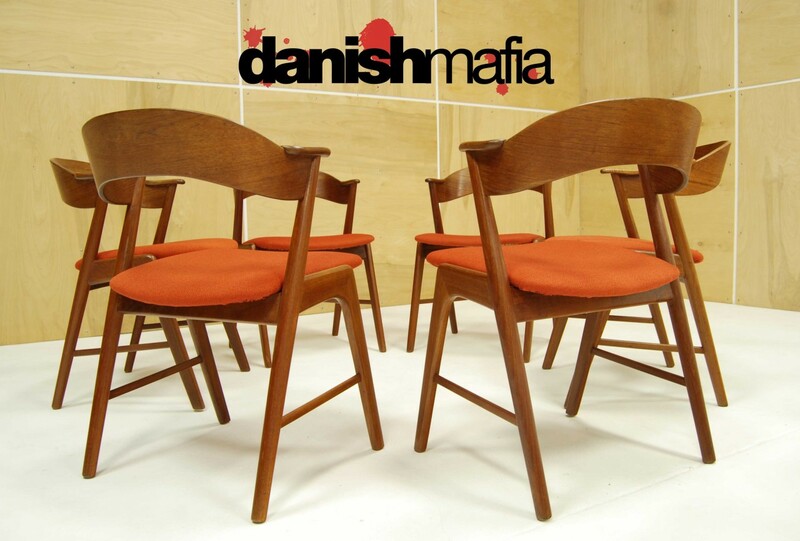 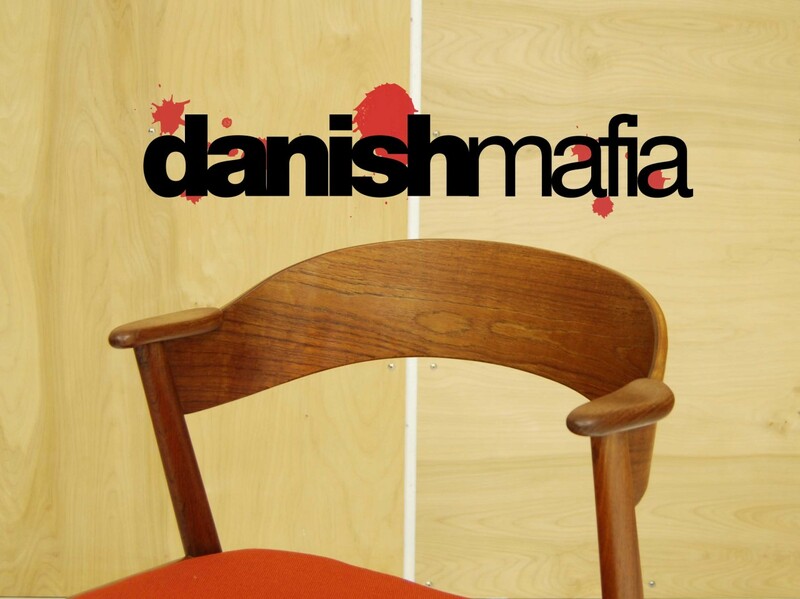 These chairs were designed by Kai Kristiansen and have great design details and styling. 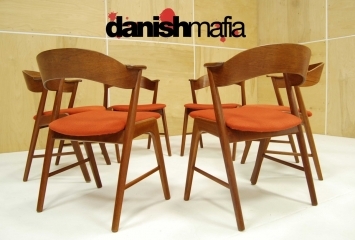 The Teak frames and curved seat backs make these chairs sturdy and very comfortable. The arms not only look great, but are perfect for resting your arms on after a big meal or sitting around your table just conversating. 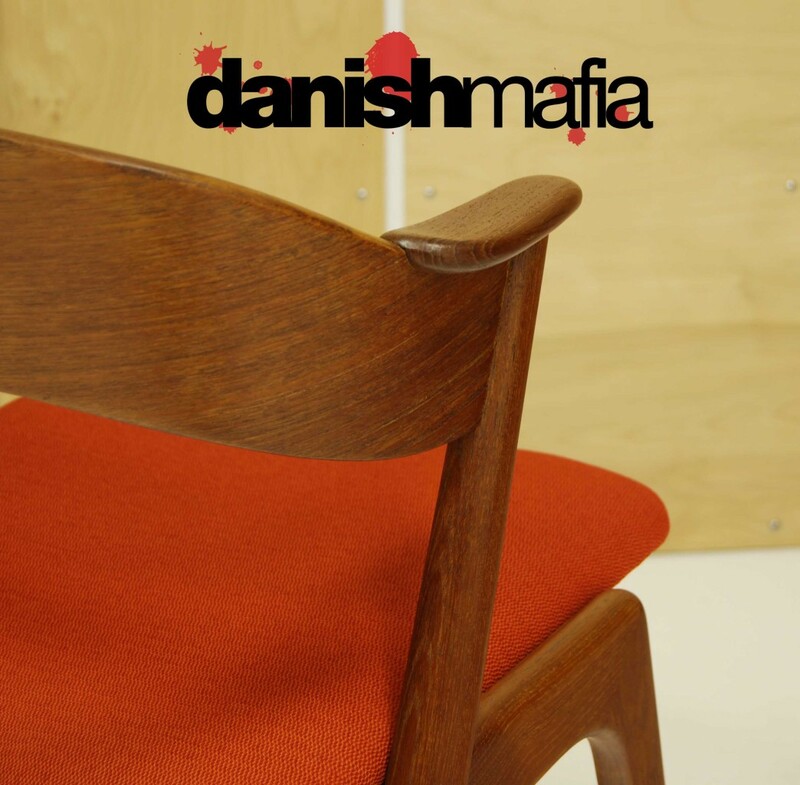 We have upholstered the set in a brand new, High End Kvadrat / Maharam material. This material can retail for over $65 per yard in stores. The “Burnt Orange” color blends perfectly with the Teak frames and is sure to add a POP of color to any Mid Century Dining area. 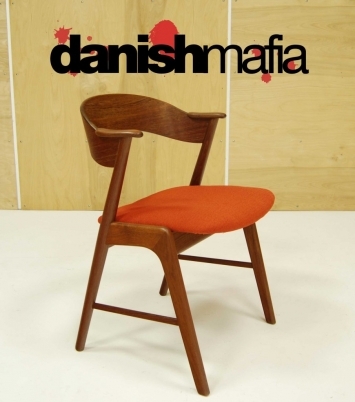 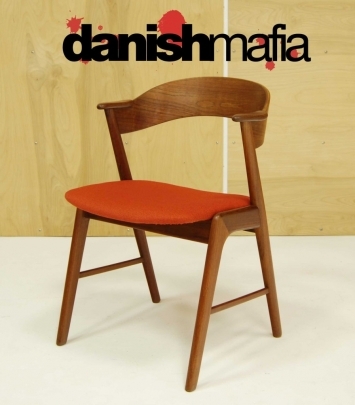 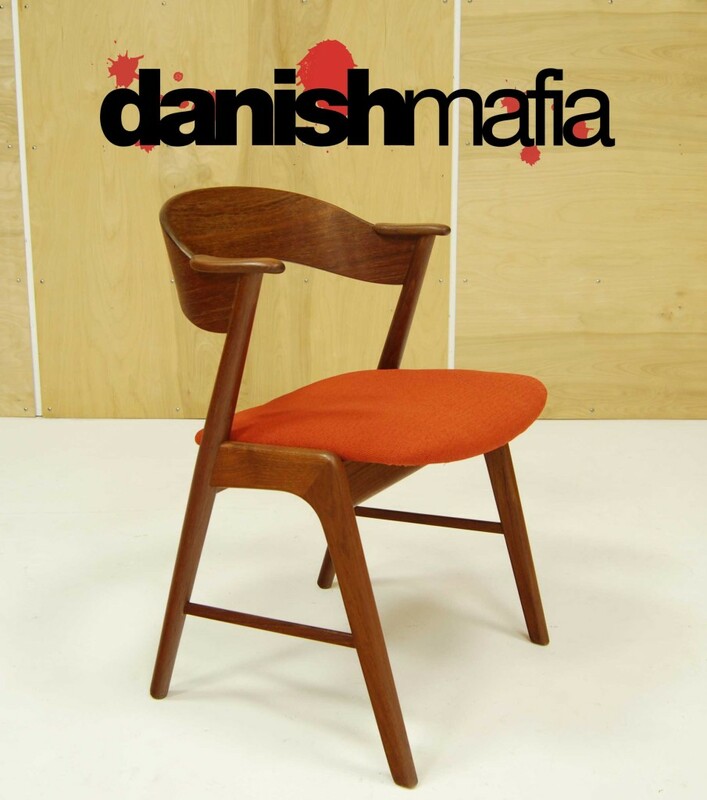 These early chairs are RARE and are sure to be great additions to your Mid Century Danish Modern collection. Overall condition is EXCELLENT!! 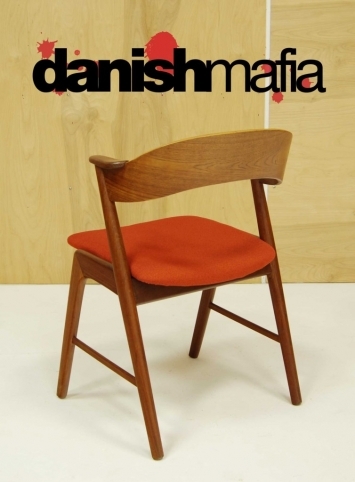 Chair frames are sturdy and Comfortable. 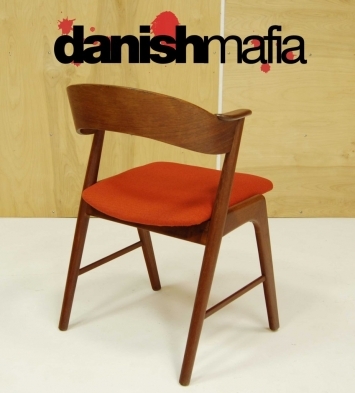 Upholstery is all brand new. 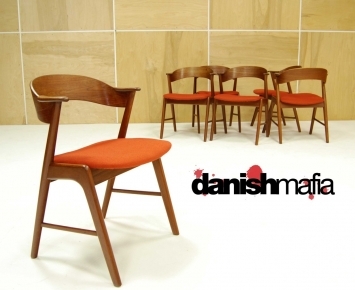 Expect some scattered marks to chair frames if you study hard, but nothing that takes away from the beauty or value of this designer set. 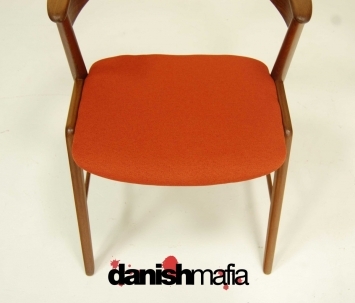 Contact us for detailed photos of condition as we always try to show the worst of any age related wear.